"The 1980s were weird, as illustrated by the local SUVs from that era," writes Lance Branquinho takes a look at some of the SUV's that defined the era. Named after the famous mountain pass between South African and Lesotho, this was an attempt at providing South Africans with an affordable full-size SUV in the late 1980s. Built on the Nissan Tracker/720 platform, the extended wagon structure was fibreglass and for the time – it was a great solution, despite only offering two-doors. Toyota were decades from offering Fortuner and Nissan had effectively created the local bakkie-based SUV market. Sani Industries won acclaim for their metal/fibreglass engineering work and the second-generation Sani, built on a Hardbody platform and offering 3-litre V6 power, was a very compelling offering. The business scaled so strongly, that Nissan eventually acquired Sani Industries in the early 1990s. South Africans loved VW’s T3 MPVs. 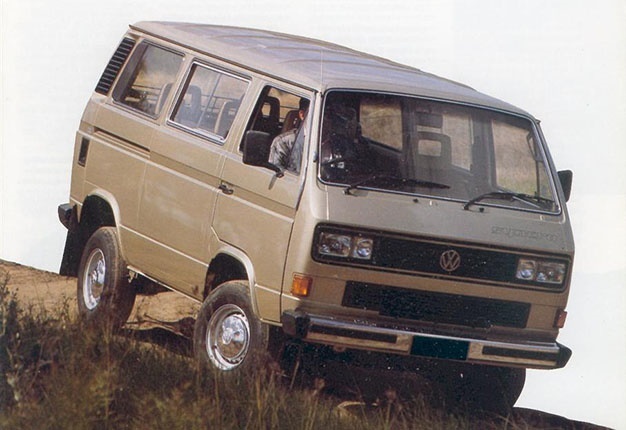 Back in the 1980s, these were the ultimate sign of privileged large family transport and in an era where the SUV concept had not yet been accurately defined or distilled to South African demand, VW accidentally marketed the perfect local gravel-travel vehicle. The Caravelle Syncro featured a tidy 200mm of ground clearance and with an efficient all-wheel drive system, it was terrifically capable as an off-roader. The low-range gearing and all-wheel drive hardware were supplied by Austrian military vehicle specialist, Steyr-Puch, who were the same people Mercedes-Benz chose to build its Geländenwagen. No SUV rival could match the Caravelle for interior space, either, although the on-road performance, powered by a 2.1-litre naturally-aspirated four-cylinder engine, was feeble. With 175Nm and true barn-like aerodynamics, the 0-100km/h sprint was a 25-second affair. During the 1980s relations between the Soviet Union and South Africa were effectively non-existent, with the countries technically at war with each other by proxy, in Angola. This made the presence of Lada’s Niva compact 4x4 two-door wagon, an extraordinary trade exemption. The Nivas are legendary and with good reason. Those from the 1980s were especially utilitarian but with solid axles, relatively lightweight and robustly simple mechanical components, they weren’t afraid of adventuring. Distribution numbers were limited, with most South Africans in the market for a compact 4x4 being exceedingly sceptical of driving a ‘Russian’ vehicle. Those who did venture beyond their Cold War bias owned one of the most legendary 4x4s ever marketed in South Africa. 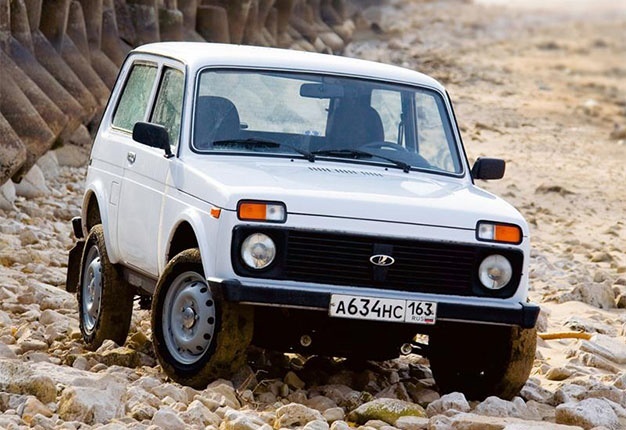 Larger than a Suzuki SJ-series, smaller than a short-wheelbase Land Rover, the Lada Niva was an off-road phenomenon in the hands of a skilled bush-mechanic or experienced driver. In 2018 they are the ultimate in utilitarian hipster safari transport. Round headlights and leaf-sprung axles. If you approach a Land Cruiser 60-Series at a low angle, these are two of its most distinctive attributes. Powered by a 4-litre inline six more reliable than the tidal table, and built to military specification, these were the exploration wagons for intrepid South African families in the 1980s. The ride quality was punishing, as one would expect with live axles and leaf springs, but mechanically the Land Cruiser 60s was nearly faultless. Hugely collectable in today’s market and a good candidate for restomod status into the future, as a burgeoning restoration scene has been established in America. Think Evoque was the first two-door Range Rover? You would be very much mistaken. Land Rover’s first-generation Rangey was marketed here during the 1980s and for the early part of the decade, they were all two-door vehicles. 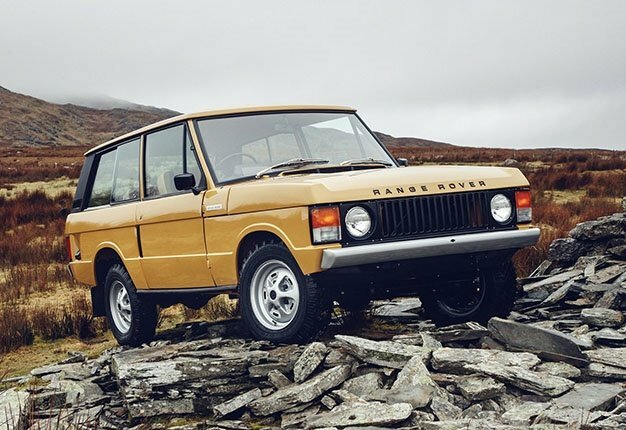 These original Range Rovers have endured as style icons thanks to a brilliantly pure design, shaped by engineers instead of stylists. A spacious cabin, coil-sprung ride quality and some melodious Buick V8 engines made for a compelling luxury SUV in the early 1980s. Reliability was patchy, but when they were running, these Range Rovers were the automotive aristocrats of African adventure motoring – provided you had jerry cans strapped-on, as fuel consumption could become ridiculous.